Is the employer required to demonstrate a loss in order to claim liquidated damages? Can the employer claim damages for delay as an alternative or in addition to a claim for liquidated damages? Under which circumstances can the employer defeat a clause limiting the contractor’s liability for delays? Do interim delays trigger claims for liquidated damages? How are claims for liquidated damages calculated and enforced? Under what circumstances can the contractor or the employer claim an extension of an agreed time limit and who owns the ‘float’? How are concurrent delays dealt with? Does the law impose any notice requirements on the employer in regard to claiming liquidated damages? Under which circumstances does a delay warrant termination of the construction contract? 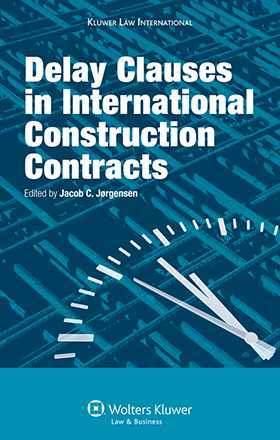 In addition, each author includes a brief description of the construction law environment in his or her country and highlights pitfalls and advantages to be aware of when dealing with a standard construction contract, such as the FIDIC Red Book, in that country. As an eminently practical guide to relevant local law for project managers, engineers, consultants and others concerned in the administration and planning of major construction projects, this book will prove to be a very welcome resource. It will also be very helpful to legal advisors involved in the drafting and negotiation of major international construction contracts and/or in dispute resolution proceedings. About the Authors. Acknowledgements. Introduction. Bulgaria by Galina Eneva. Canada by Gregory D. Hersen. People’s Republic of China by Karin Grauers & Michael Li. Denmark by Jacob C. Jørgensen. England and Wales by Anna Rabin. Germany by Stefan Illies. Hong Kong by Colin Cohen. Malaysia by Loong Caesar. New Zealand by Chris Moore & Nick Williams. Switzerland by Sylvie Cavaleri Jørgensen. United Arab Emirates by Adrian Cole. USA by Thomas M. Wolf & Robert J. Windle.